There are a lot of great camping and outdoor destinations across the United States — camping is abundant at national and state parks, forests, wilderness areas, and preserves. Each US state has a unique appeal for campers, but these five stand out from the rest: Colorado, Missouri, Montana, New Mexico, and New York. Colorado's natural beauty, rugged mountains, and breathtaking landscape make it a top camping and outdoor destination in the United States. On a camping road trip through Colorado, you will discover mountains, lakes and streams, wildflowers, forests, and sand dunes, and rich red rock formations. There are four national parks — Rocky Mountain, Great Sand Dunes, Mesa Verde, and Gunnison — and 42 state parks in Colorado, which means there is no shortage of camping areas. There are also five national monuments and 25 scenic and historic byways. Missouri boasts hundreds of conservation and natural areas, 49 state parks, the vast Mark Twain National Forest, the Ozark National Scenic Riverway, and the 225-mile Katy Trail. Not to mention the numerous recreation possibilities in these areas like hunting, fishing, and boating. And in Missouri, there's a lot of water. Cast a line in one of many spring creeks, float a river, or row a boat. In Missouri, there is no lack of water sports. The Lake of the Ozarks offers 1,150 miles of shoreline (that's more shore than the entire coast of California), not to mention the state's namesake river. They say, "if you can do it outdoors, you can do it in Missouri" for a reason. Rolling hills and flowing river valleys — this is Missouri, a camping destination for the outdoor enthusiast. Montana is an angler's dream, a river rafting mecca, and a hunting paradise. There are plenty of bird species for watching, rocks for climbing, and hot springs for soaking. Popular camping areas along the famed Big Hole River are jumping off points for anglers, and camping on the western slope of the Continental Divide is a great destination for travelers heading to ​Glacier National Park, ​Whitefish Mountain Resort, and Flathead Lake. But just about anywhere your camping road trip takes you to in Montana is another perfect portal for summer camping activities. Artists Ansel Adams and Georgia O'Keefe once made the landscapes of New Mexico famous, but New Mexico isn't just for artists — there are great camping, recreational, and sightseeing opportunities. 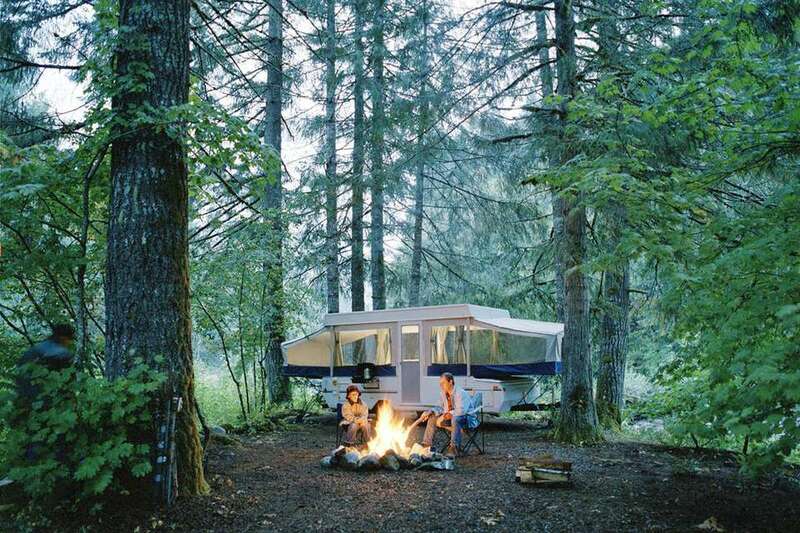 The camping possibilities are endless and quiet. The locals love their solitude and there is plenty of it. Famous for its beautiful skies, desserts, mountains, and grasslands, New Mexico offers an abundance of outdoor activities. You can hike, bike, ride ATVs and horses, hunt, fish, climb, and cave. In New Mexico, there is an outdoor adventure for everybody. There are the Finger Lakes, Lake Placid, and the Hudson Valley; not to mention the Adirondacks, the Catskills, and Niagra Falls. New York is home to many natural wonders and 4 million acres of nature preserves. The National Park Service oversees 30 scenically diverse sights in New York — beaches, mountains, lakes and streams, and historic battlefields. There are many state parks for a weekend camping trip and a lot of camping destinations are just a short distance from the city.